Tuesday is my favorite day of the week because I get to read….and eat Treats! YUM! A huge thank you to Shannon Houghton for the Treat Tuesday meme picture. Check out her fabulous blog Ms. Houghton’s Class. 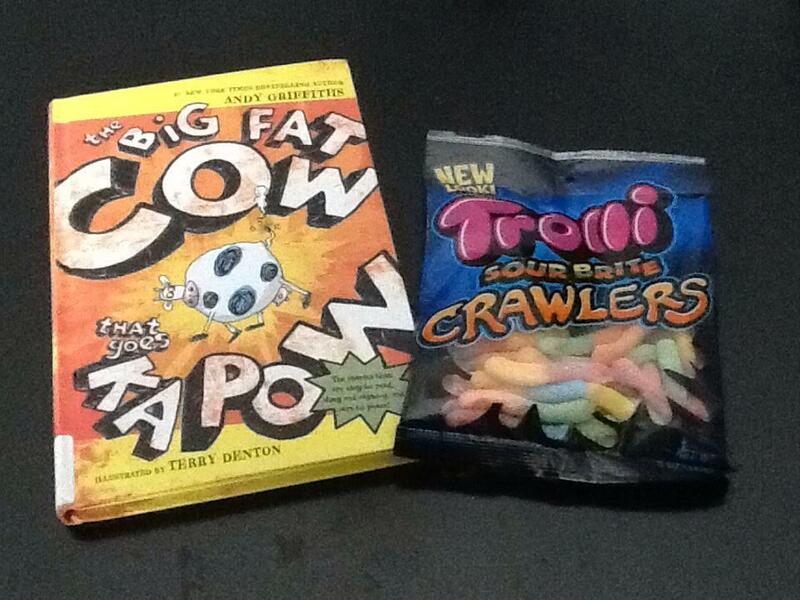 The Big Fat Cow That Goes Kapow by Andy Griffiths Illustrated by Terry Denton goes well with Gummi Worms! As a new teacher to second grade I have been looking for books this year that will grab my reluctant readers. Luckily, I have found books that my students love such as the Fly Guy series by Tedd Arnold and pretty much any book by Mo Willems. But I was looking for more early reader books. So I turned to my Twitter friends and asked for book recommendations. My friend John Schu responded. He has read a gazillion books for children and always knows just what to recommend. This time was no exception. He recommended The Big Fat Cow That Goes Kapow! and many other great early reader books. Now I can’t wait to share this book with my second graders. I think my students will love it because it is easy to read and the pictures and words are really funny. I also like how the book looks like a higher level chapter book even though it is an early reader. That will appeal to my students as well. So if you are also looking for fun early reader books for the children in your life or classroom I recommend books by Andy Griffiths. Also, you should follow John Schu’s blog Watch. Connect. Read. for more great book ideas. Now check out some videos with the author Andy Griffiths. So where do you go for book recommendations? Twitter? Facebook? Friends? Family? What is a favorite treat or book you have read recently? I look forward to your response in the comments section. This entry was posted in Treat Tuesday and tagged Andy Griffiths, Gummi Worms, Mr. Schu, The Big Fat Cow That Goes Kapow, Treat Tuesday, Watch. Connect. Read.. Bookmark the permalink. 13 Responses to It’s Treat Tuesday! What are you reading…I mean eating?! Andy Griffiths – makes me laugh, sometimes wince. — Especially w/The Day My … went Psycho. I just loved the Big Fat Cow That Went Kapow! Every book fair I try to pick a book that is not selling, that I like, and see if I can get kids excited about it. A few book fairs ago, this was my book. I after I book talked it to a few kids, I couldn’t get the restocks in fast enough! Thank you! I gave the book to a student to read in my class today and he loved it! I’m going to borrow more of his books from my library and have students check them out! I teach second grade too and it is so challenging to find good fit books for those readers that are not quite at the level of a Henry and Mudge, or even at that level. I am always in search of great series books. Right now some of my girls are loving Katie Woo. Other series that my students have loved include Fluffy the Hamster, Cowgirl Kate, Aggie the dog, and Mercy Watson. I have more, but they aren’t popping into my head right now. 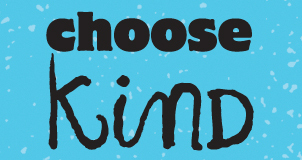 It would make a great #2ndchat topic. I was at Barnes and Nobles today – always stroll through the shelves looking for something new. I saw The Big Fat Cow book, but passed on it because I thought it looked like a longer chapter book. Mr. Schu is my go to guy also for things related to children’s books. I agree! I will check out some of the books you mentioned. I love Mercy Watson. My students also love Fly Guy and Toon books. 🙂 I think that would be a good #2ndchat topic. I’ll be adding Treat Tuesday to my blog this week. Thanks for hosting!